There’s something about summertime that brings out the smile in all of us. Whether it’s more sunlight and longer days or all of the activities that summer brings around, we all smile more in the summer! Dr. Puig is here to take your summer lifestyle up a notch with award-winning cosmetic dentistry! With over 20 years of performing some of the best cosmetic dental work in the Orlando area, Dr. Puig has helped thousands of people achieve the best smiles of their life! It’s not just her extensive experience that builds a perfect smile for you, it’s an artistic vision that is considered by many to be second to none! Many in the Orlando and Florida area are looking to improve their appearance over the summer months through fitness, diet, and outdoor activities. What many people don’t realize, however, is that upgrading your smile is one of the easiest things you can do and has one of the greatest impacts in how you look and feel about your summer body! Your perfect summer body isn’t just about looking good, you’ve got to feel great. Being proud to show off your perfect smile can give you an immense amount of confidence, even if you haven’t reached all of your summer body goals yet! When your teeth are generally healthy and in their correct places, having discolored teeth may leave you feeling disappointed with your smile. Teeth Whitening in our office or an at-home system can do a lot to help you whiten your teeth and be more confident when showing off your smile. Accidents happen, and often at the most inconvenient times. Single visit dental bonding can repair chipped or cracked teeth and leave them looking natural until a more permanent solution can be reached. Cosmetic bonding will repair the tooth with a similarly colored material that can be shaped and polished, so your tooth looks normal again. When a tooth is healthy but is visually unappealing for any reason, porcelain veneers can be used to adjust shape, color, and texture. Dr. Puig will create a natural, even smile for you. Veneers won’t just improve your smile for the summer though, veneers are bonded to your teeth for a solution that can last a decade or more. Traditional braces that leave your mouth full of metal and wires are incredibly conspicuous and can be very uncomfortable. Dr. Puig offers Invisalign clear braces to her patients, providing a way to quickly, effectively, and painlessly create the smile of your dreams. Upgrade Your Summer Smile Today! 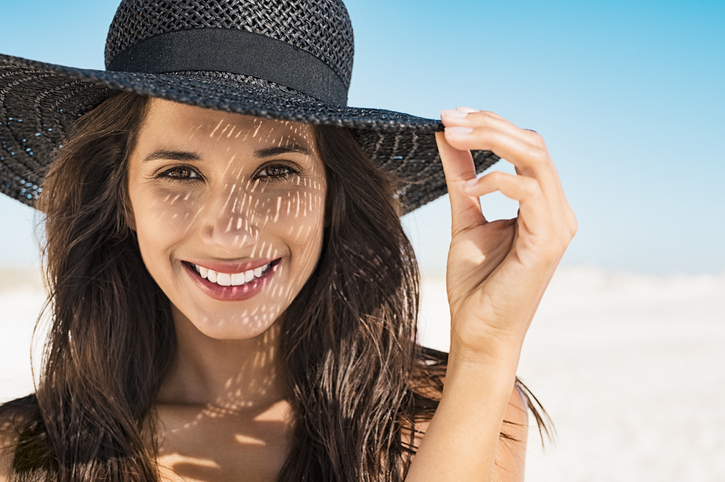 If you’ve been wanting to improve your confidence this summer, contact us today to experience for yourself what one of the best cosmetic dentists in Orlando can do for you! Call our office or use this form to request a complimentary consultation with Dr. Puig.